White Lies have a long-standing reputation of bringing out iconic and electric anthems, with their debut album, To Lose My Life, hitting number one in the charts in 2009. Having been compared to artists such as The Killers and Joy Division, it’s no wonder there was such large anticipation surrounding the release of their new album, Five. Will this be the album that sees them overtake artists such as Ian Brown, who also released his album, Ripples, on the same date? Though it seemed the early February release date would be an invigorating start to combat the stress of January blues, the album as a whole has a very self-pitiful and reflective tone. I found myself resonating in accordance with the sorrowful lyrics, wallowing in a pit of my own misery. Yet, at the same time this is still a band that I can imagine having a crowd full of vibrant mosh pits. Marking a decade of their existence, the new album comes before their tour which is expected to be played at several venues, including the UK and US. Starting the album with the already pre-released track, ‘Time to Give‘, the song introduces the album to a harmonic solo voice, complementing the soft echo of the piano. The video itself, which was released on 16th September as a teaser for the album, is a peculiar braille lyric video. Is this a symbol or did they just not want to create an actual music video? I can’t help but be reminded of Foals, except with a spark of grungy rock. And yet I wonder, why is this band not playing at iconic festivals such as Reading and Leeds? ‘Never Alone‘, probably one of my most favourite tracks on the album, starts off with a harmonic momentum with a similar rhythm as Kasabian’s Underdog. Following the theme of the album, it progresses into a symbolic tune for us all to be engulfed into. How can a song be so mournful yet comforting at the same time? There’s something about the masculinity of Harry McVeigh’s voice that is so pungent and powerful. Almost of an omniscient value, “We are never alone, no matter what we do“. Though the album has taken an emotional and despairing turn, songs such as ‘Jo‘ have an energetic and exuberant mood, whilst reminding us of his tragic journey with love. ‘Believe It‘ has a harmonically faultless backing track, yet the repetitive lyrics become unbearable after a while. How many more times do they have to repeat Believe it? The monotonous singing is exhausting. Haphazardly, the album connotes emotions of death and love, something that is not completely abnormal to the band. We are taken on an unusual journey, leaving us with the question – What was going through Harry McVeigh’s mind when he wrote this? 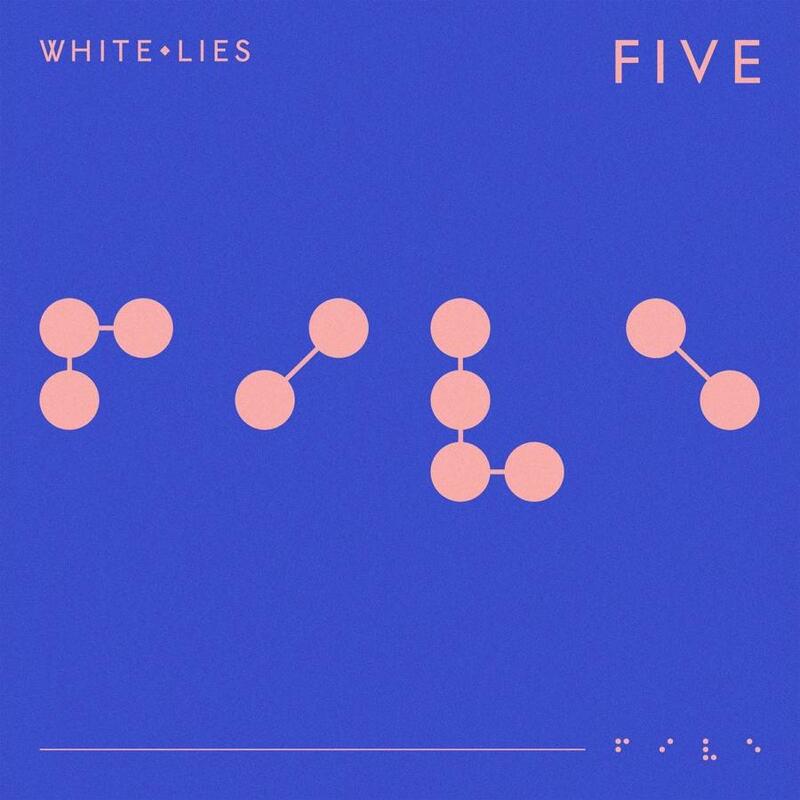 Five is out now on PIAS.